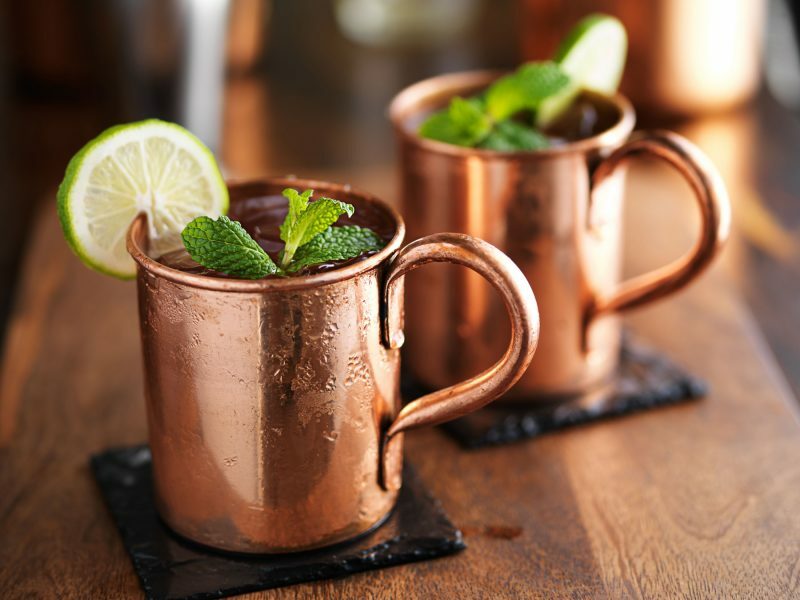 Many people think of using copper mugs for Moscow Mules, but copper mugs are a very versatile product that can be used for many different drinks and occasions. Copper mugs have been used for drinking over centuries and throughout the world. Copper is beautiful and ages well, making the purchase of copper mugs something that stands the test of time. Kids can’t drop the glass and break it! For businesses looking to promote their brand, and people hosting a wedding or party, the ability to personalize copper mugs makes them a fun alternative to traditional party favors. You can give them away and send people home with something they will use regularly, remembering you or your company each time they do. Since copper is naturally durable it will last for years vs. giving away a promotional item that that may break or be thrown away. The versatility of custom copper mugs is endless. There are so many ways to use them and personalize them to fit your needs. Whether they are used for business or for pleasure, custom copper mugs are sure to be a crowd pleaser. To see what your design would look like on a copper mug contact us at [email protected]customcoppermugs.com. We can produce a beautiful and durable copper mug that guest will love, customers will use, and help you to stand out from the crowd. Only need a few copper mugs? You can order our blank mugs from Amazon.com and take them to a local engraving shop.